A well-cared for horse may live three decades. Records exist of horses living much longer. The average life expectancy of a horse is 26 years and the oldest horse on record lived to age 62. Many aging horses remain active and have lifelong relationships with the people who care for them. Thanks to better care and changes in the horse's role, the life span of horses has increased. Aging sets in later than it did in decades past, according to the University of Nevada website. In general, horses begin to show signs of aging at 16 to 18 years of age, corresponding to a human age in the 50s. With attention to nutrition and health care, horses can live active lives in their geriatric years. 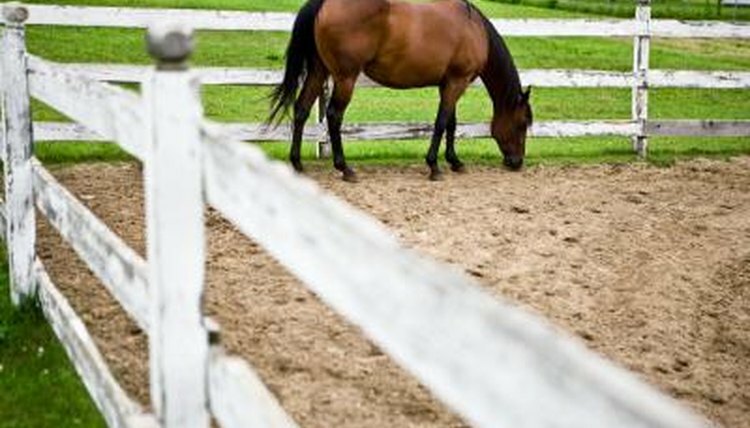 Factors that contribute in longer life spans for horses include advances in nutritional knowledge and veterinary medicine. In addition to following your vet's recommendations for a geriatric diet for the horse as she ages, a lifetime of fitness and conditioning for the horse may increase her odds of living a long and healthy life. A better understanding of behavioral psychology and the strong bonds between human and horses also may contribute to longer lives for horses, the University of Nevada reports.